"Prompt And Polite. Clear About Job And Costs. Explained Process. Completed, Cleaned Up, And Took Away Debris." 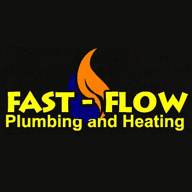 "I Was Late In Turning Up For My Agreed Time Slot But The Hero Waited For Me Until I Got Back Which 20 Minutes"
"The Speed In Which You Received A Plumber And The Speed In Which The Repair Was Done"
Need a Plumber, Appliance Engineer, Drainage Engineer or Heating Engineer in Darlington?